Preheat your oven to 350. 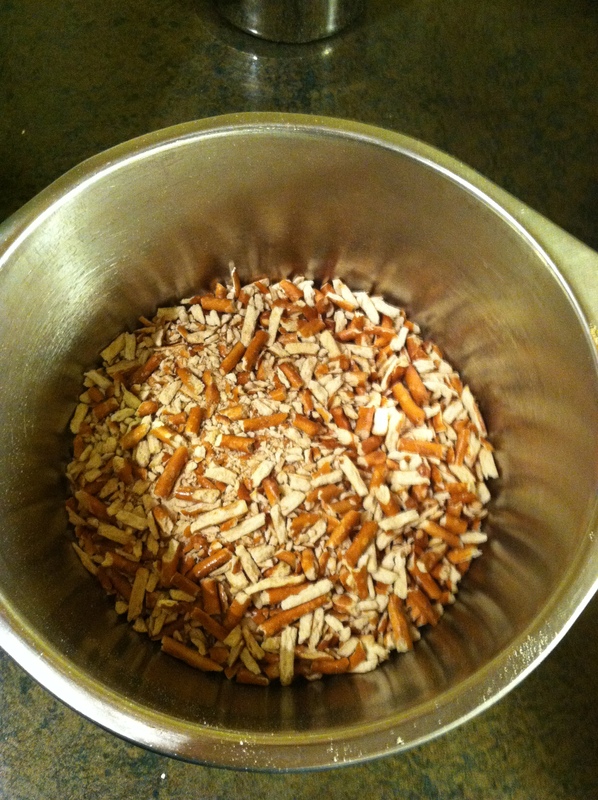 Crush the pretzels in a large ziploc bag with a rolling pin and place them in a mixing bowl. Add the 3 tbsp. sugar and melted butter. 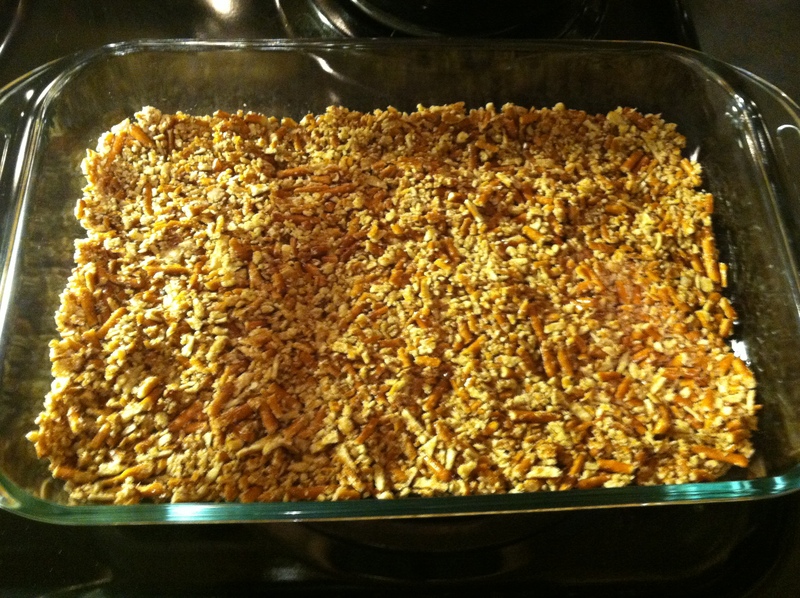 Mix well and Press into the bottom of a 9×13 glass baking pan. Bake for 8 minutes and let cool COMPLETELY. 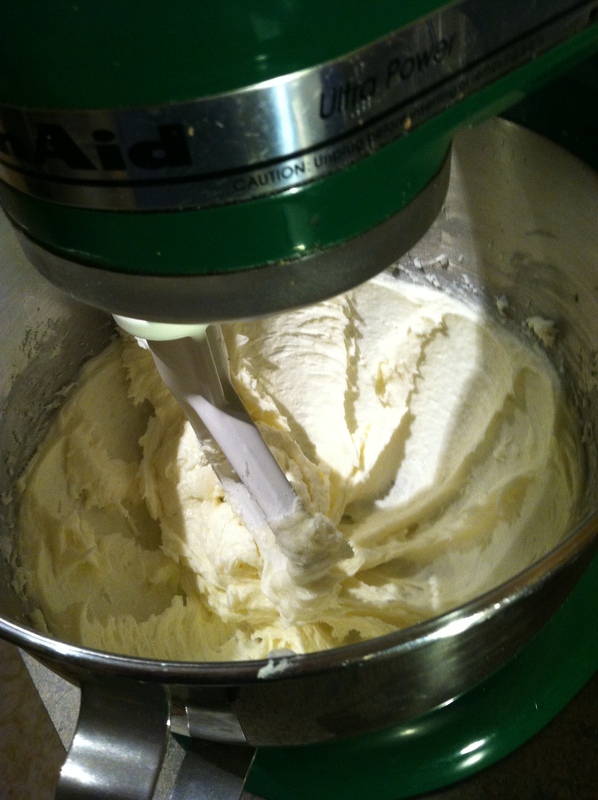 In the bowl of an electric mixer, combine 1 cup sugar and cream cheese until well blended and smooth. 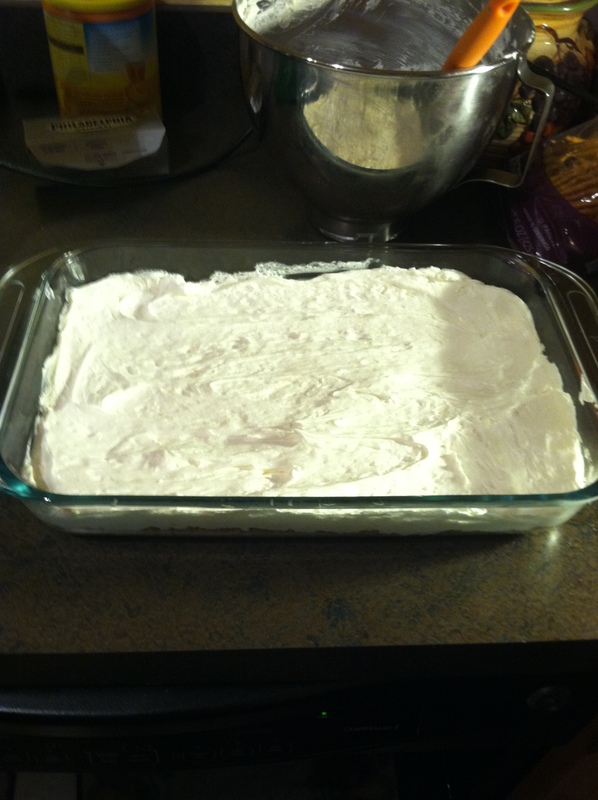 Fold in cool whip and refrigerate. 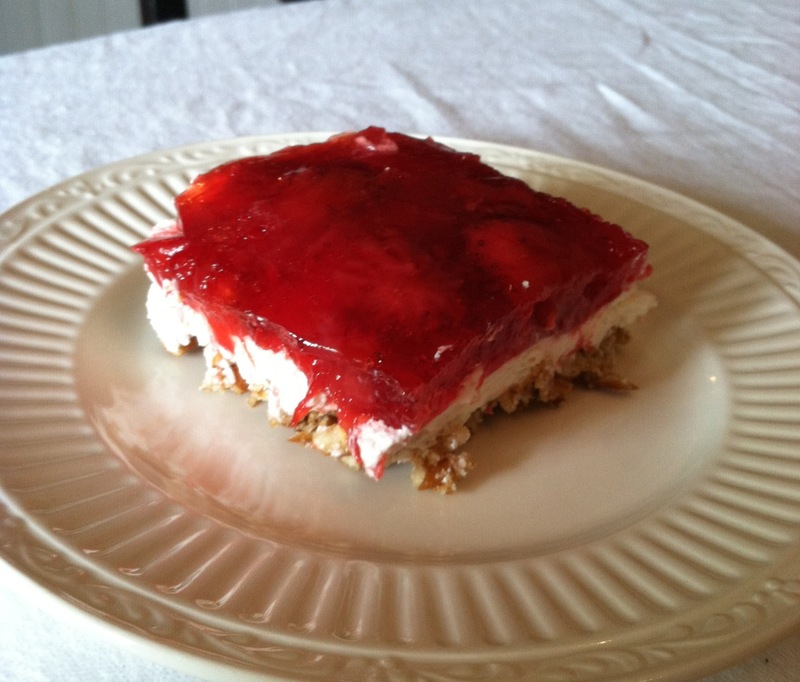 In a separate mixing bowl, combine jello mix and boiling water. 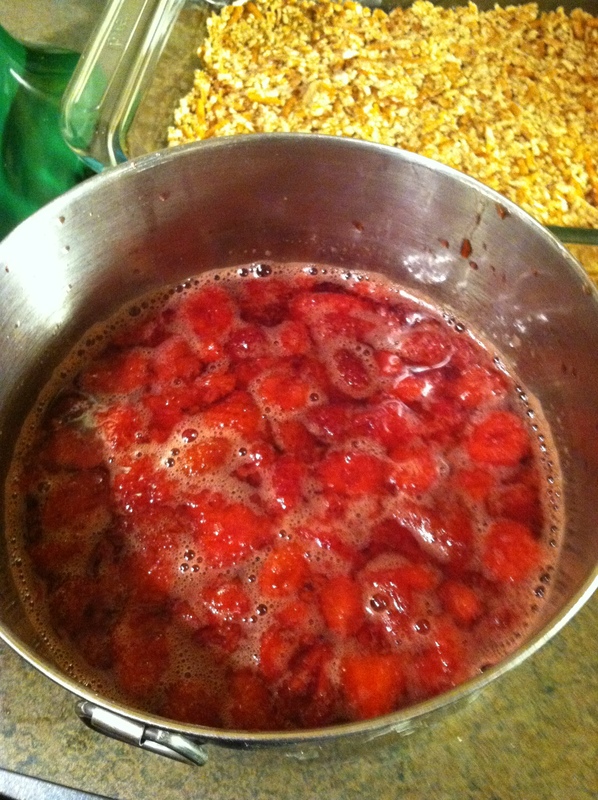 Stir until dissolved and add strawberries with their liquid. Chill in the fridge until slightly set up. 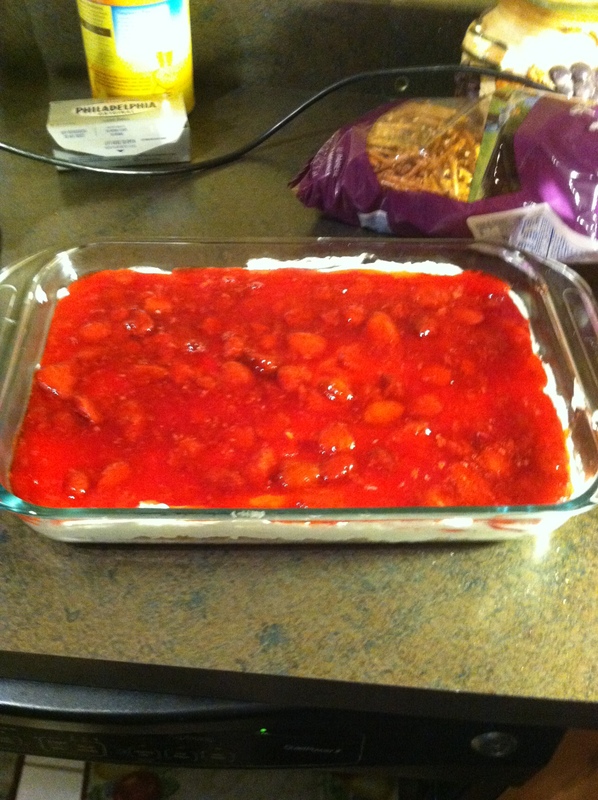 Spoon the jello mixture on top of the cream cheese layer evenly. Refrigerate until Firm. I made mine the night before and it was great! Enjoy!